For tinnitus treatment Dove Hearing offer the best solutions to help you overcome this stressful condition. Tinnitus can be caused by a variety of factors from a simple buildup of earwax to problems with the inner ear. Stress and anxiety can often exacerbate the severity of tinnitus symptoms and you may have trouble concentrating or sleeping. If you can hear buzzing, sizzling, ringing or any other unexplained noises then you may be suffering from tinnitus. Our hearing experts have decades of experience in finding the right tinnitus treatment can significantly improve the quality of your life. 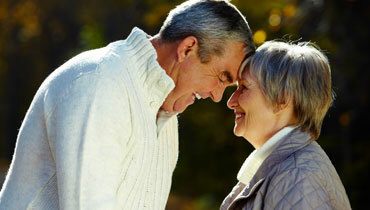 It is a common myth that tinnitus only affects the elderly but it is common amongst all age groups. People who are regularly exposed to noisy environments are particularly vulnerable and up to 10% of the population are believed to be suffering from tinnitus. The key to helping you is by finding the underlying cause of the tinnitus. Identifying “triggers” that make the condition worse is a key part of the process before going on to diagnose what part of the ear is causing the problems. We have the latest diagnostic equipment at our disposal and we are unrivalled for tinnitus treatment. Our customers are quite often amazed at how much we can help them and improve the quality of their lives with our tinnitus treatment solutions. No matter how long you have had the condition nor the severity of it we can help. Tinnitus often gets worse over time and can become unbearable while being a root cause of depression and stress. Catching it early can really benefit you in the long run and our hearing experts are the ideal place to start. If you have any further questions about our tinnitus treatment then please do not hesitate to get in touch with us today.